As I was searching the archives for a banana-focused treat, I stumbled upon this recipe. While I cognitively knew that this was from years ago, it astounded me (as always) when I read this recipe. First, I was bewildered by the element of time- so long ago, yet not really. Second, I was amazed at how long I’ve been creating recipes and writing recipes here. 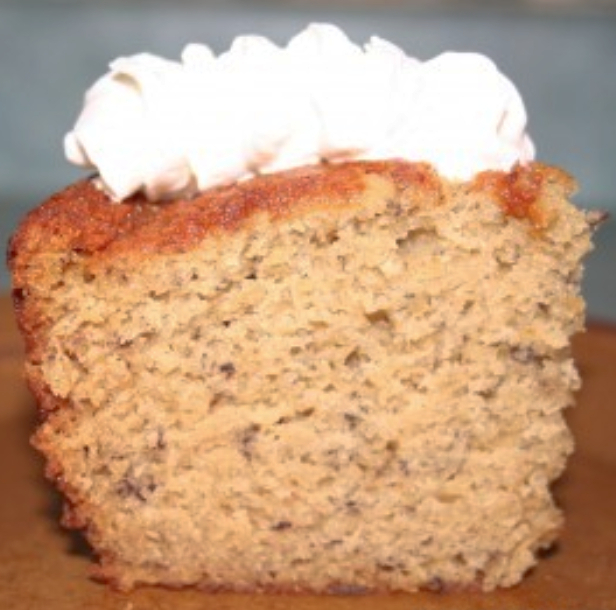 So, without further rumblings on time, let me reintroduce this Warm Banana Cake recipe. It truly is a lovely treat on a cold, snowy day. To learn more about this recipe, first published in February 2010, keep reading. A mom can break the rules every once in a while, can’t she? As part of our Christmas presents to our kids, we planned a trip to an indoor water park. To maximize our time there and make the trip more fun for the kids, we spent all day at the water park and then spent the night at the hotel attached to it. The following morning we enjoyed a filling breakfast and slowly made our way home, stopping at a small art museum on the way. When we returned home it was late afternoon and quite chilly. After spending the previous day quite active, sliding, swimming, and splashing, everyone was in a quiet, relaxed mood. Although we hadn’t eaten since brunch, no one seemed overly hungry. Of course, I knew we would need to eat something before bedtime. Walking through our dining room, I spied a bunch of bananas that were at peak ripeness. They practically begged to be used for some sort of baking. Although I’m the sort of mom that makes sure everyone has a serving of veggies with dinner, ending our fun weekend with a special treat seemed like a good idea. Why not use the bananas in a cake that would be served warm with vanilla ice cream? Seeing that there wasn’t much interest in dinner, this would be enough to satiate any hunger pangs. Plus, it would be a fun end to a great weekend. Why not break a rule? As you might imagine, banana cake and ice cream were a big hit with our kids. In a large bowl or stand mixer, beat sugar and butter until creamy. Add egg yolks and bananas, and beat well. In a large measuring cup stir baking soda into buttermilk. In a small bowl, combine flour, baking powder and salt. Alternately add liquids and dry ingredients to banana mixture. Stir in vanilla. Beat egg whites until stiff and fold into batter. Spray a bundt pan with nonstick cooking spray, and pour batter into pan. Bake 50 minutes, or until a tested inserted into the center comes out clean.